Want to know which fruits to eat and which ones to apply? Well, this article has all that information. All you have to do is read on to get glowing skin without having to resort to makeup or expensive skin treatments. Let’s begin. Avocado is rich in healthy fats, dietary fiber, and vitamins E, A, C, K, B6, niacin, folate, and pantothenic acid. It has antioxidant properties that help reduce oxidative damage, which, in turn, prevents DNA damage. Consuming avocado can promote healthy aging as it is rich in lutein and zeaxanthin that protect your skin from UV radiation. The healthy fats in avocados help retain the skin’s elasticity, reduce inflammation, and speed up wound healing (5). 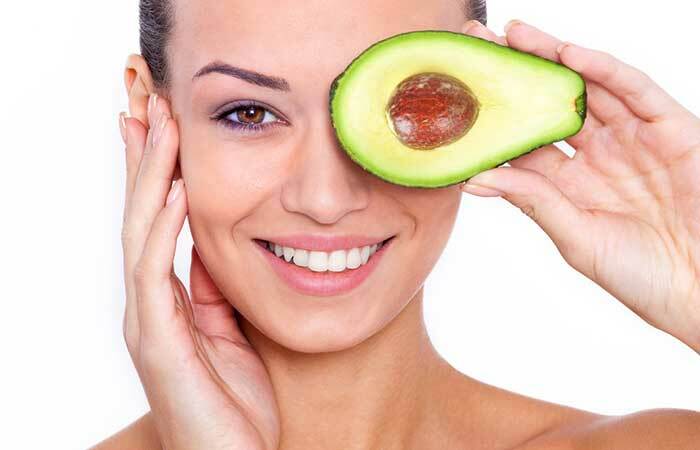 Here’s how you can use avocado to get clear and flawless skin. Consume half an orange each day. Red, fleshy, watery, sweet, and refreshing – I just cannot get enough of watermelon. And what’s more, it is great for your skin too, especially if you have oily and acne-prone skin. Watermelon has dietary fiber (0.4%), water (92%), carbs (7.55%), sugar (0.4%), vitamins C, A, B1, and B6, carotenoids, flavonoids, and lycopene. It has zero fat and is cholesterol-free (8). Lycopene helps in scavenging the free oxygen radicals and prevents skin damage (9). Water helps to flush out toxins and improve bowel movement. 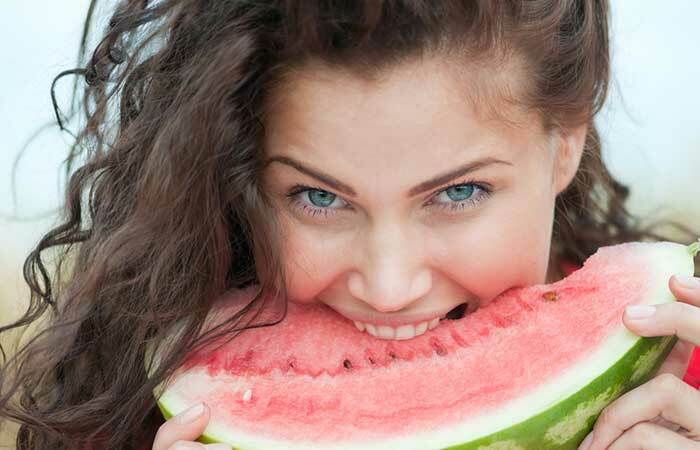 Here’s how you can use watermelon to achieve clear skin. Have a medium bowl of watermelon as an afternoon snack or for breakfast. Drink freshly made watermelon juice in the morning or evening. Make a fruit salad with watermelon. Add watermelon to add a zing to your otherwise dull smoothie. Mash a watermelon and apply it on your skin. Rinse off after 10 minutes. For oily skin, mix 3 tablespoons of watermelon juice, 1 tablespoon of lime juice, 1 tablespoon of Fuller’s earth, and 1 teaspoon of rose water. Rinse with cold water after the mask dries. For dry skin, mix 3 tablespoons of watermelon juice, 1 tablespoon of lime juice, 1 teaspoon of honey, and 1 teaspoon of aloe vera. Rinse off after 10 minutes. A fresh green cucumber has a typical aroma that can make you feel fresh even without eating it. Like watermelons, cucumbers are also very high in water content, have a cooling effect on the body, and possess antioxidant properties (10). Unpeeled cucumbers are also rich in vitamins K and C and dietary fiber. Scientists have found that sea cucumbers can be used for skin whitening and reducing wrinkles (11). Here’s how you can use cucumbers to heal your skin. Add cucumber to your salads, wraps, sandwiches, smoothies, etc. Prepare a glass of refreshing cucumber pulpy juice and add a dash of lime juice, roasted cumin powder, and pink Himalayan salt for taste and flavor. Eat a cucumber as a snack in the evening. Grate a cucumber and mix it with 1 tablespoon of gram flour and 1 teaspoon of rose water to reduce inflammation in acne prone skin. Mix grated cucumber, 1 tablespoon of milk, and 1 teaspoon of coconut oil to moisturize dry skin. Mix grated cucumber, 1 tablespoon of lime juice, and sugar to scrub your hands and feet. Do you feel you are overexposed to pollution and the sun? Then, you must read how this delicious and gorgeous fruit can benefit your skin. Pomegranates are rich in vitamins C, K, and folate, and minerals like calcium, magnesium, phosphorus, and potassium (14). In fact, the peel, the membrane, and the edible seeds are loaded with antioxidants (ellagic acid) that help protect the skin from UV-A and UV-B damage and skin pigmentation (15), (16), (17). Scientists were also successful in regenerating human dermis and epidermis in the laboratory using pomegranate (18). So, clearly, you cannot avoid this fruit. Here’s how you can use it to treat all your skin problems. Add it to your salad, hummus, baba ganoush, juice, smoothie, cakes, smoothies, breakfast bowl, or fruit salad. You can mash pomegranate seeds and apply the juice all over the affected area. Wash it off after 10 minutes. Make a face pack with 1 tablespoon of gram flour, 1 teaspoon of Fuller’s earth, 1 teaspoon of lime juice, and 2 tablespoons of pomegranate juice to treat pigmentation for oily skin. If you have dry skin, instead of adding Fuller’s earth, add milk or honey to the above mask. A friend of mine recently recommended that I use banana peel to remove acne scars, and it did work really well. 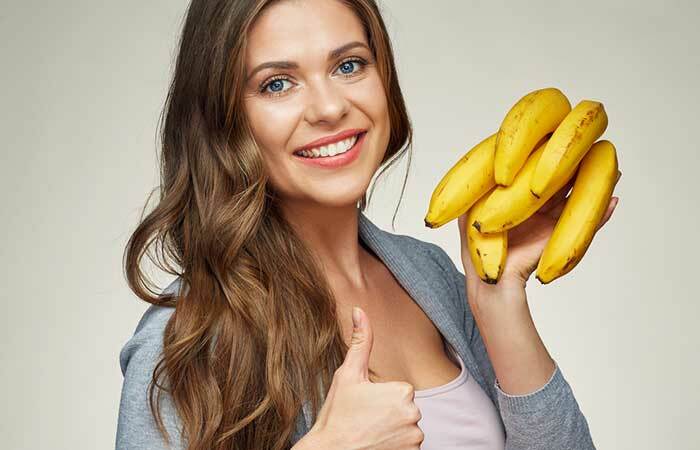 The scientific explanation behind banana’s exceptional skin healing properties is that it is rich in dietary fiber, vitamins A, C, K, E, and folate, and minerals such as potassium, calcium, phosphorus, and magnesium (19). It is a very good natural moisturizer and has antioxidant and antimicrobial properties (20), (21). Here’s how you can use a banana in various ways to get a glowing skin. Add banana to oatmeal for breakfast. I always wondered who ate Apple’s apple. Probably, Eve ate it to cure her skin problems! Well, you can do it too. Apples are rich in vitamins A and C, dietary fiber, potassium, calcium, and magnesium (22). They have antioxidant properties and help scavenge the harmful free oxygen radicals. The peel of the apple has also been found to be rich in antioxidants (23). So, the next time you want to eat an apple, do not peel it. Wash it thoroughly to remove dirt and bacteria. Here’s how you may use it to get flawless skin. Eat one apple per day as part of a healthy snack with some nuts. Add apple slices to your breakfast bowl, oatmeal, or cornflakes. Add apple to your smoothie or make apple juice. Add apple to your baby spinach and tuna salad. Add apples to cake batter. Grate one apple and apply it on your skin. Rinse it after 10 minutes. For dry skin, mix grated apple with 1 teaspoon of honey and apply it on your skin. Wash it off with warm water after 10 minutes. Gooseberry or amla is sour and loaded with vitamin C (24). Hence, it is no wonder that gooseberry has antioxidant properties. Gooseberries also have anti-inflammatory, wound healing, and GI tract soothing properties (25). Moreover, it has been confirmed by scientists that gooseberries promote procollagen production (26). 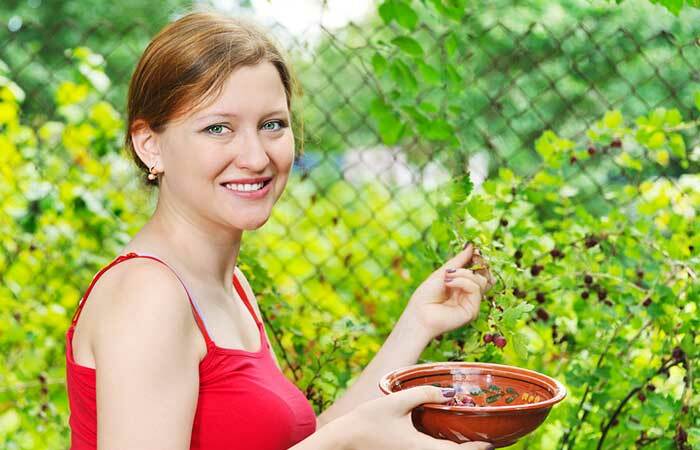 That’s the reason gooseberries are highly sought after by the cosmetic industry. But you can treat your skin using amla at home. Here’s how. Chop seeded gooseberries and dry them in the sun. Store them in a glass jar. Pop one or two pieces of dried gooseberry in your mouth after lunch every day. You can make gooseberry juice and store it in the fridge. Add gooseberry pieces to your smoothie or juice. If your skin is acne prone, here’s some good news. You can simply eat or apply strawberries to get clear and spotless skin. That’s because strawberries are a great source of vitamin C and alpha-hydroxy acid, which is also known as salicylic acid. Salicylic acid is used in creams for acne treatment as it penetrates deep into the pores and cleans them. Strawberries also contain ellagic acid that protects the skin from UV radiation and prevents collagen destruction and wrinkle formation (27). Here’s how you can use them for your skin. Add strawberries to your breakfast bowl. Add strawberries to your morning smoothie. Halve the strawberries and add them to a salad. Add them to cake or muffins. Mash a strawberry and apply it to your skin. Wash off with cold water after 10 minutes. For those of you with panda eyes, kiwi is a savior! Kiwis contain a good amount of vitamin C and help protect the skin from the toxic free oxygen radicals that cause DNA damage (28). Kiwis also promote collagen synthesis and help prevent wrinkles (29). Here are different ways to use kiwis to improve your skin health. You can blend a kiwi with spinach and grapefruit to make a yummy morning smoothie. Just blend a kiwi and add 1 teaspoon of honey to it to enjoy a soothing juice. Peel and slice a kiwi and eat it as an evening snack. Add chopped kiwi to a salad. Mash a kiwi and apply it on your skin. Wash off after 10 minutes. Mash a kiwi and add ½ teaspoon of turmeric and apply it to hydrate and lighten your skin. The sweet and juicy apricots look humble, but they are fierce when it comes to protecting the human body from free oxygen radicals. They are rich in vitamins A, C, K, and folate (30). Apricots are also loaded with dietary fiber that helps improve bowel movement. And lastly, researchers found that apricots can help prevent endothelial cell death (31). Here’s how you can include apricots in your diet. Chop apricots and add to your juice, smoothie, or breakfast bowl. Add apricots to your salad, pie, tarts, jams, and jelly. Have 2-3 apricots as an evening snack. Thinly slice an apricot and apply the slices on the pigmented area of your skin. Remove them after 10 minutes. Grapes, red or green, are loaded with resveratrol, an antioxidant. Researchers have found that resveratrol helps protect the skin from UV damage and skin cancer (32). It is also a rich source of vitamins C, K, and folate and minerals such as calcium, potassium, and phosphorus (33). Plus, grape seed extract has skin rejuvenating, protecting, and healing properties (34) (35). Let me tell you how to use grapes to get flawless skin. Consume a small bowl of grapes. Add grapes to your morning smoothie. Add sweet and red grapes to chicken stew to give it a sweet edge. Add grapes to your breakfast bowl. Add grapes to your fruit salad. Mash grapes and apply it on your skin. Wash off with cold water after 10 minutes. If you want to make your skin glow, make sure you consume and apply a peach face mask. Peaches are rich in vitamins A, C, E, and K and minerals such as calcium, magnesium, potassium, phosphorus, and dietary fiber (36). They are also a great source of antioxidants that help scavenge the free oxygen radicals, thereby preventing DNA damage and photodamage (37). Here’s how you can use peaches to get a warm glow. Add peach slices to your breakfast bowl. Make peach juice or smoothie. Add peaches to your dessert. Thinly slice the peach and place the slices all over your skin. Remove the slices after 10 minutes and wipe your face with a wet cloth. Sweet, red, and delicious, cherries are not only good to taste, but they also have the ability to repair and protect your skin from damage. They are rich in dietary fiber, vitamins A, C, K, and folate, and minerals like calcium, magnesium, potassium, and phosphorus (38). Cherries also have antioxidant and anti-inflammatory properties that may help prevent skin damage (39). 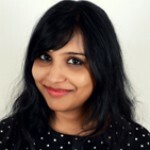 Here’s how you can use cherries to get a flawless skin. Have a small bowl of cherries in the morning or evening. Chop cherries and add them to your salad. Add cherries to a small bowl of yogurt or custard. Mash a cherry and apply it on your skin. Rinse off after 10 minutes. The watery and subtle-tasting muskmelon can do wonders for your skin. It is rich in dietary fiber, vitamins A, C, K, and folate, and minerals such as potassium, magnesium, phosphorus, calcium, and sodium (40). Muskmelon has anti-inflammatory and antioxidant properties (41). In fact, scientists have found that muskmelons can help treat psoriasis (42). So, when it comes to skin treatment, you should not ignore muskmelon. Here’s how you can use it. Add muskmelon to a bowl of fruit salad. Apply mashed muskmelon on your skin. Wash it off after 10 minutes. Mash a muskmelon and add grape juice and 2-3 drops of lime juice to it. Apply it on your skin to get rid of uneven pigmentation. The sweet and tangy pineapples are rich in dietary fiber, vitamins A, C, K, and folate, and minerals like calcium, potassium, and phosphorus (43). Pineapples contain an enzyme called bromelain, which has anti-inflammatory, anticancer, and wound healing properties (44) (45). Applying pineapple on the burnt human skin can help remove the dead skin cells and speed up the process of healing (46). Here’s how you can use pineapple to heal your skin. Consume a small bowl of pineapple for breakfast or as an evening snack. Toss a pineapple with spinach, cucumber, pomegranate, and cilantro to make a delicious salad. Add pineapple to your dessert. Add pineapple to pizza, wraps, burritos, stews, etc. Mix pineapple juice with 1 teaspoon of milk and apply it on your skin. Wash off after 10 minutes. Prunes are dried plums. They have high fiber content and are rich in vitamins A, K, and niacin and minerals like calcium, magnesium, and potassium (47). The fiber in prunes helps prevent constipation, which is one of the reasons your skin looks so dull and is acne prone (48). Scientists have found that prune juice can help increase the weight of stool and improve bowel movement (49). So, if you are suffering from constipation, you should definitely try prune juice. Here are other ways you can use it. Drink 4 oz. prune juice first thing in the morning. Add prune juice to your morning smoothie. Apply prune juice on your skin and wash it off after 10 minutes. Mix 1 tablespoon of prune juice, 1 teaspoon of lemon juice, and 1 teaspoon of rose water and apply it on your skin. Wash off after 10 minutes. 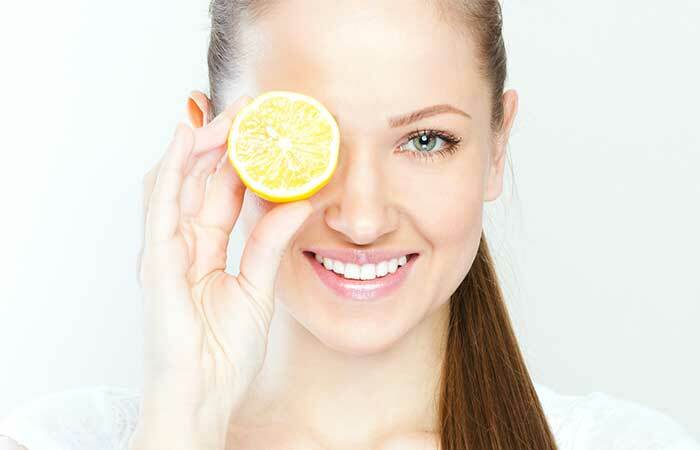 These were the 20 fruits that can help you get glowing skin. Make sure you avoid eating deep fried and oily food. Consume more veggies, fruits, fish oil, and nuts and drink enough water to keep your skin clear. And if you want to accelerate the process of healing your skin, try working out at least three days a week in addition to consuming and topically applying the fruits mentioned in this article. Results are guaranteed. All the best!